For years Slenderman, the urban-legend monster, that only existed on the internet was a harmless game to scare your friends with and film their reaction for YouTube. But the fun was ruined back in 2014 when two girls in middle school stabbed their mutual friend nearly 20 times and left her bleeding out in the woods. The two girls told officers that Slenderman told them to kill their friend. The sickening crime shocked the internet. Recently, the girls who committed the crime were diagnosed with mental illness, and now HBO has made a documentary about the incident. 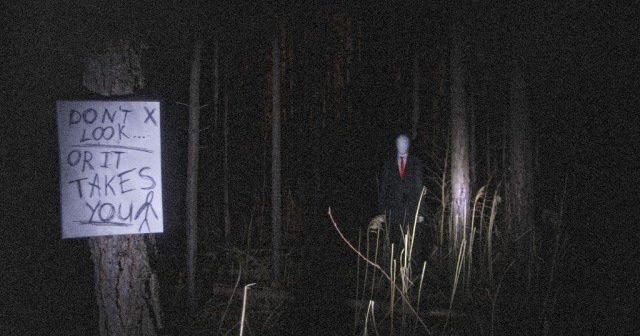 Beware the Slenderman will focus on the crime, but it’ll also travel deep inside the internet, to the places no parent wants their children to go. The documentary will examine how these legends and stories influence the thoughts of children all over the world. Irene Taylor Brodsky is the director behind this documentary, which is scheduled to be released on HBO January 23, 2017. You’ll probably want to watch this with a group of people in a room with great lighting. Heck, go all out and hire a few security guards.